At Red Oak Recovery®, we offer a variety of treatment programs. Our staff has the experience and training to help you face addiction while promoting positive and successful recovery growth. You should never face recovery alone, and we strive to provide the best services in a comfortable and relaxed environment. Red Oak Recovery® believes in proven treatments in a peaceful atmosphere on the road to a safe recovery. Each and every person who enters our program, is unique and has unique needs. At Red Oak Recovery®, our programs will help you develop the perfect strategy to overcome substance abuse, trauma, and mental health issues. We know that substance abuse affects men and women differently. Males more commonly have trouble with stress management, anger, and self-esteem. Females, on the other hand, tend to struggle more with trauma and regularly leave treatment earlier than men. With that in mind, our programs at Red Oak Recovery® specialize in specific treatments that provide safety, focus, and the strength to endure and succeed in rehab. Our men’s treatment program will help you regain self-esteem while transitioning to a sober way of life. We embrace a positive outlook on recovery and help you cope with stress in a healthy manner. Our team has the training to combine conventional and holistic treatments to address any issues, including mental, physical, spiritual, and emotional needs. You’ll gain a better understanding of your substance abuse, trauma, and mental issues, and how to develop positive strategies and skills for relapse prevention. Our women’s treatment program will help you overcome your past and look forward to the future. Everyone needs time to process their experiences and determine the best way to defeat it. 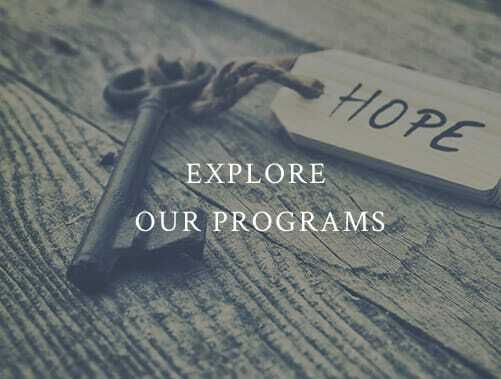 The Willows at Red Oak Recovery®, our supportive staff will help guide you through the process with proven therapy sessions, meditation, and more. We take an integrative approach to women’s treatment through research and clinical experience. Further treatment options include acupuncture, expressive arts, psychodynamics, adventure therapy, education, and support. Our Red Oak Recovery® facility includes our men’s campus and is set in the North Carolina wilderness to give you peace of mind and the comfort of a natural setting during your treatment. The men’s campus has stunning views and comfortable living areas. Along with our peaceful decks and outdoor meditation areas, the men’s campus provides a unique experience, unlike any other treatment facility. Our women’s campus is located just south of Asheville, North Carolina, and includes 18 beds, spacious lounge areas, outdoor patios, and a variety of fun activities. Known as The Willows at Red Oak Recovery®, our women’s campus is one-of-a-kind with the most beautiful setting you can find. Are you ready to take the next step to a fun, healthy, and sober lifestyle? If so, join us at Red Oak Recovery® in Leicester, North Carolina. Our beautiful campus is the perfect place to begin your life-changing treatment. Additionally, our treatment programs offer comprehensive care on the individual level to guide you to lasting recovery. Don’t let your substance abuse, trauma, and mental health issues take control of your life. Our high-quality drug treatment programs can make all the difference for you and your loved ones. Contact us today at 866-457-7590 to begin your journey on the road to recovery.